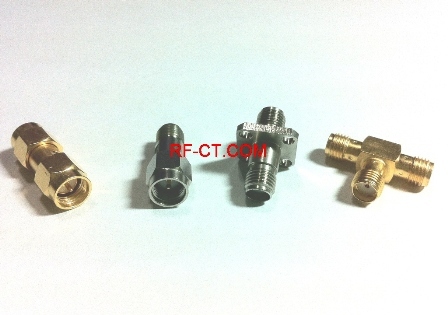 SMA adapters RF IN series transit the signal from SMA male/female to the SMA male/female type connectors. Precise pin-depth control guarantee a safe mating process and stainless steel is applied for harsh environment. Also its MW adapters show low VSWR performance. Ref: Material: Brass/Stainless steel Finish: Gold Plating/Passivated.